Did you hear about the latest shooting? I probably didn’t. I quit watching the news. The news is filled with depressing stories of how the world is broken. I’m a helper…a fixer. Not being able to fix the world broke my heart so much that I didn’t want to see it anymore. 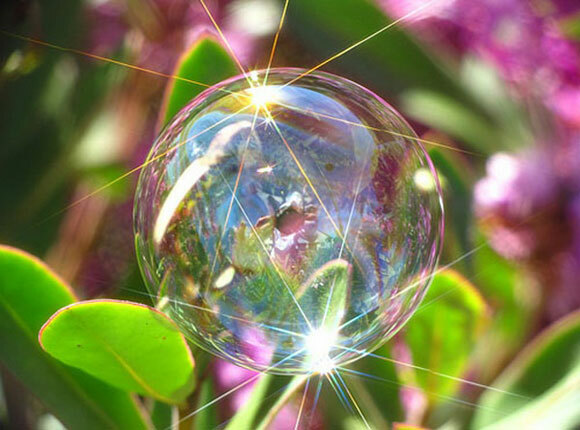 I retreated to my bubble where I kept myself busy fixing my own problems. 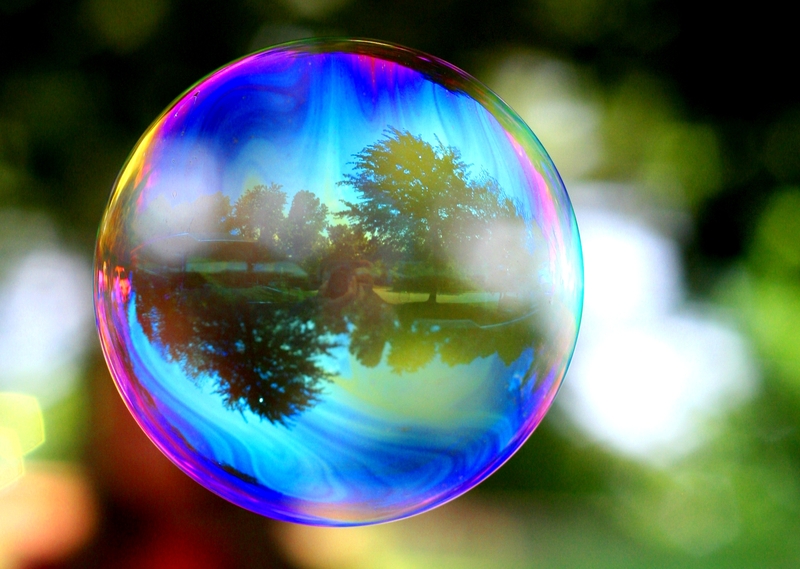 But that is not how God wants me to live…in a bubble. We are made for love, and relationship, and community. And that means participating in that community, which means getting back out of my safety bubble. Yikes. But before I could start thinking about how to use my fixing skills to make the world a better place, I got distracted thinking about why it is broken in the first place. I truly believe God created us for love. So if that is true, why didn’t God just make us all happy, loving people? Why is there so much hate in the world if we were made to love? I think it’s because God gave us the incredible gift of free will. Love cannot be forced. True love is best when it is genuine…when it is freely given. And with that freedom, comes choices that result in hate and suffering and pain and anger and fear. And death. Adam and Eve’s first choice of independence resulted in shame and hiding from God, and we are still trying to come out of hiding and find our way back to Him. So by creating free will, did God create evil? We can’t understand love, and really appreciate love, unless we also understand the absence of love. It’s like that old saying, “You don’t know what you had until it’s gone.” The pleasure of love is so much more intense when you have experienced life without it. Does that mean that God uses suffering and evil to teach us lessons? Is He doing these things to us on purpose? I think I can understand how our poor choices can bring evil into the world. But what about those things that don’t feel like choices at all? The sweet baby that develops a brain tumor. The loving grandfather who dies from Parkinson’s disease. The good Christian family who loses everything to a tornado. This is where faith must come in. This is where I must have an honest belief that God is good, God is in control, and He knows what He is doing. I can’t possibly understand the bigger plan that He has developed, and it may not be for me to know yet. I have to go back to the simple fact that God loves us. The best part is that He didn’t leave us alone to deal with this. He craves relationship with us so much that He came to meet us in the middle of the mess. Through His Son, God suffered with us. He experienced it. He knows how we feel. And He sacrificed His Son to save us. I cannot even fathom giving up my child, through pain and suffering, to save someone else. There is no greater love. The cross, it turns out, is about the mysterious work of God, which begins not with big plans and carefully laid out timetables. But with pain and anguish and death. It’s there, in the agony of those moments, that we get the first glimpses of just what it looks like for God to take all of our trauma and hurt and disappointment, all those fragments lying there on the ground, and turn them into something else, something new, something we never would have been able to create on our own. So does God want us to suffer? No. Do I want my children to suffer? No. And so I can understand how and why God wants all of that for us. We need to stop making it so hard and just choose love. It’s the right path. And when we get on the right path, everything else starts working better and getting easier. He doesn’t want me to hide in my bubble anymore. He wants me to join Him in offsetting all the evil in the world. He wants me to get out there and use my fixing skills to start making it right, one small step at a time. There will be bumps along the way. Wrong turns. Heartbreak. Pain. Suffering. But coming out of it, towards happiness, joy, and love…it will be so worth it. So I’ll try to turn on the news tonight, if even for only five minutes, so that I can pray for whoever is suffering today. I hope you’ll join me. The world can use all the fixers it can get. Photos courtesy of www.fengshuidana.com and nancyaruegg.com. *Garth Brooks sings a song called Send ‘Em On Down The Road that is so spot on with the gut-wrenching joy of parenting it caused tears to stream down my face for days. I highly recommend it. “If they’re not free to fall, then they’re not free at all.” Love it. AgaIn, your insight and observations give me much to think about. As much as we want to keep our children from harm, from disappointment , from everything “bad” they have to make their own choices and those are not always good choices. All we can do is to love them and teach them the love of our God. Like you I occasionally avoid the news, on purpose, but that doesn’t change things. My heart breaks for the ugliness of the world and I weep actual tears for the victims as well as for the offenders and their families. All I can do (for most of them) is pray that our God bless them, soften their hearts, or have mercy on them. Your comment about wanting to keep our children safe brought to mind another statement that grabbed my attention in The Shack. I’m still trying to wrap my head around that one!